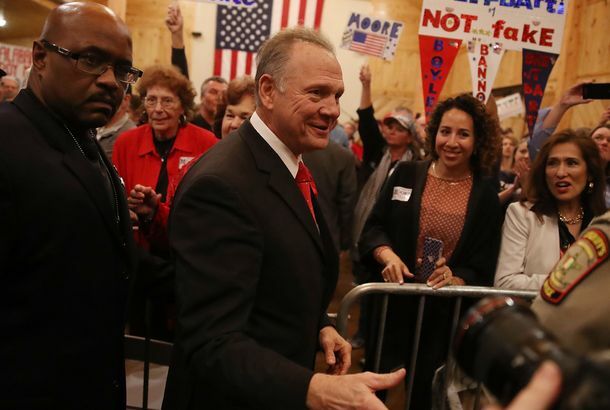 Roy Moore Reemerges for an Election-Eve Rally, and Good Lord, Was It WeirdThe rally in a remote barn featured Steve Bannon, a dig at Ivanka, a reference to Moore’s Jewish lawyer, and several inflatable alligators. Roy Moore’s Wife: We’re Not Anti-Semitic, ‘One of Our Attorneys Is a Jew’Also, a friend recalls that one time Moore passed up an opportunity to prey on children. 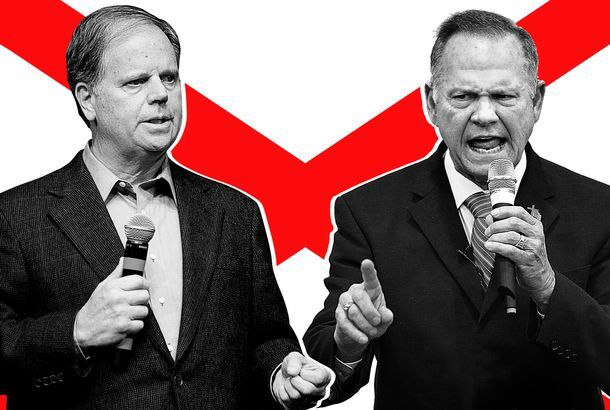 Trump and Alabama GOP Stick With an Embattled Roy MooreThe state GOP could have kept Moore from getting any votes, and Trump could have possibly talked him into quitting. But neither is getting in his way.